This album reached number 21 on the NME album charts. Israel issued their own version of the album, and the most noticeable difference on the front cover is the use of orange for the song titles, whereas they'd been printed in green in the UK. 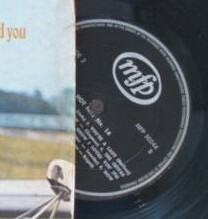 On the back, the same photo is used as on the UK pressing, but it is printed in monochrome, and the sleeve is manufactured with a white border around the image. 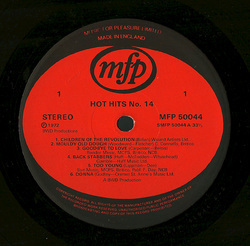 The album carried the standard black Israeli MFP labels.